On September 2, 2015, you can be the first fan to spend a Night At the Home of the Boston Red Sox. Is staying overnight at Fenway Park a dream of yours? Tell us why. Simply enter to win by 11:59 p.m. ET on 8/20/15. Your host will welcome you in through a spectacular foyer. Ever wonder what it would be like to sleep in Fenway Park? Imagine walking out of the tunnel in uniform. What does it feel like to take batting practice where Teddy Ballgame and Yaz won the Triple Crown, or play catch where Pedro pitched his way to the Hall of Fame? Your Red Sox dreams can now come true. This is your once-in-a-lifetime opportunity to experience Fenway like no fan before you, your opportunity to live out your dream moments while in the shadows of the Green Monster. On September 2nd, we’re opening our doors for the first-ever sleepover at Fenway Park. Your home for the night includes your very own Green Monster pillow, a luxurious king-size bed with views of our manicured outfield lawns, meals prepared with produce from Fenway Farms, and experiences typically reserved only for players--check out other views of our home by clicking on the photo above. And don’t worry, a 37-foot tall wall provides all the privacy you need. One lucky winner and their guest will head straight to the changing room, where jerseys will be pressed and ready for the final home game of the season against the Yankees. You’ll enjoy a $500 spending spree at the Team Store, meet Sox legend Luis Tiant, and stand on the field with your teammates for the National Anthem. You’ll watch the first inning from inside the Green Monster, where you can swap stories with the Man in the Monster. Once you’re settled into your seats, the one and only Luis Tiant will swing by to watch a few innings with you. Don’t celebrate too hard, though, because your evening is just beginning and your post-game interview awaits. First opened on April 20th, 1912, the oldest ballpark in baseball has never hosted a fan sleepover until now. But don’t let that fool you: your suite for the night will be fully designed to recapture over a hundred years of vintage Fenway moments. After your celebration dinner on the right-field deck, you’re free to watch some post-game clips or relax in your 37,000-seat home. In the morning, you’ll get an exclusive tour of Fenway Farms and enjoy breakfast on top of the Monster before hitting the batting cages for a final round of swings. How can you be the first fan to spend a Night at the Home of the Boston Red Sox? Tell us why staying overnight at Fenway Park is a dream of yours by 11:59 p.m. ET on 8/20/15. Not local? You’re still eligible: we’ll fly the winners in from anywhere in the country. •Do not, under any circumstances, put bloody socks in laundry. •If the front door is stuck shut, try rotating 180 degrees and then thrusting your whole body forward a la Luis Tiant. •Don’t step on the foul line. •If you choose to use the batting cage, acceptable stances to use include but are not limited to: the Dewey, the Nomah, the Youk and the Teddy. •4-beer minimum to sit in bleachers. •If you choose to dance, move like a Wakefield knuckleball. •Always stay to the left of that pesky foul pole in right field. NO PURCHASE OR PAYMENT NECESSARY TO ENTER OR WIN. A PURCHASE OR PAYMENT WILL NOT INCREASE YOUR CHANCES OF WINNING. VOID WHERE PROHIBITED BY LAW. Sponsors. The “Win a Night at the Home of the Boston Red Sox” Contest (“Contest”) is sponsored by Airbnb, Inc., 888 Brannan Street, San Francisco, CA 94103 (“Airbnb”), and Fenway Sports Management, 4 Yawkey Way, Boston, MA 02215 (collectively “Sponsors”). The Contest is not sponsored, administered, produced or executed by The Boston Red Sox Baseball Club Limited Partnership (“Boston Red Sox”), any other MLB Entity or Fenway Sports Group. The “MLB Entities” shall mean the Office of the Commissioner of Baseball (“BOC”), its Bureaus, Committees, Subcommittees and Councils, the Major League Baseball Clubs (“Clubs”), MLB Advanced Media, L.P., Major League Baseball Enterprises, Inc., Major League Baseball Properties, Inc., The MLB Network, LLC, each of their parent, subsidiary, affiliated and related entities, any entity which, now or in the future, controls, is controlled by, or is under common control with the Clubs or the BOC and the owners, general and limited partners, shareholders, directors, officers, employees and agents of the foregoing entities. Is staying overnight at Fenway Park a dream of yours? Tell us why. Essay/Answer Requirements. Answers must (a) be in English and a maximum of 550 characters, (b) comply with Airbnb’s Terms of Service and User Conduct guidelines, (c) be entrant’s original work, not previously submitted in any promotion or displayed publicly, (d) not violate the rights of any other party, including but not limited to intellectual property rights or rights of privacy/publicity, and (e) not contain any content which (i) constitutes advertising or commercial content for any party other than Airbnb, (ii) endorses/promotes illegal or harmful activity, or (iii) is violent, profane, vulgar, obscene, defamatory, or otherwise objectionable or inconsistent the image of Airbnb, Boston Red Sox, the other MLB Entities, or Fenway Sports Group. Airbnb reserves the right to disqualify any submission that violates these prohibitions or that Airbnb deems inappropriate for any reason, in Airbnb’s sole discretion. You represent and warrant that your submission does not make unauthorized use of, or violate, any rights of any third party, and that, if necessary, you can provide proper permissions in a form acceptable to Airbnb. Eligibility. To enter, you must be 21 years of age or older and reside within the United States. Directors, officers, employees, parents, subsidiaries, equity holders, affiliates and agents of Airbnb, Boston Red Sox, the other MLB Entities, Fenway Sports Management, and the members of their immediate families or households, are not eligible to participate. In the event of a dispute about the identity of an entrant, entrant will be deemed to be the authorized account holder of the email address provided at the time of entry. Sponsors’ determinations as to eligibility are final and binding. 50% - Originality and creativity of the submission. Does it surprise and delight us? 30% - Spirit of the submission. How does your submission relate to Boston Red Sox? Does it tell us something about you? 20% - Quality of expression. Is it well-written? The decision of the judges is final and binding. Subject to verification of eligibility and compliance with the terms of these Official Rules, the eligible participant that submitted the highest-scoring submission, as determined by the judges, will be declared the official winner of the Contest. Winner Notification/Validation. The potential winner will be notified on or about 8/28/15 using contact information provided at time of entry. The potential winner and his/her guest may be required to sign and return an affidavit of eligibility, a liability release and a publicity release where permitted by law, as well as provide information necessary for compliance with any applicable tax laws. Failure to comply within two (2) days of the date of issuance may result in disqualification and the selection of an alternate potential winner from among all remaining eligible submissions received. License & Media Interviews. By entering, you grant Airbnb, Boston Red Sox, the other MLB Entities, Fenway Sports Group, and Fenway Sports Management an unrestricted, perpetual, worldwide, royalty-free, non-exclusive license to reproduce, distribute, transmit, publish, display, broadcast or otherwise use your submission, with or without modifications, in any media, whether now existing or later developed, for any purpose. To the extent allowed by applicable law, you waive any “moral rights” relating to your submission, consent to publication of your submission in any manner which might otherwise be deemed to constitute a violation of any applicable moral rights, and further agree that Airbnb, Boston Red Sox, the other MLB Entities, Fenway Sports Group, and Fenway Sports Management may use (or not use) your name, likeness, photo, and/or geographical and biographical information in connection with your submission. $500 Boston Red Sox Team Store gift card, subject to the terms and conditions associated with its use (not valid on (website hidden) Shop). Actual value may vary based on departure city and fluctuations in air fares. Ground transportation may be substituted in lieu of air if winner lives within 200 miles of Boston, MA. If actual value is less than advertised value, the difference will not be awarded. If winner cannot travel on specified dates, prize may be forfeited and awarded to an alternate winner, time permitting. Travel arrangements must be made through Sponsors’ agent and on a carrier of Sponsors’ choice. Winner and his/her guest are responsible for obtaining all required travel documents, including passports and visas (if applicable) prior to travel and must have no impediment to entering the United States. Winner is responsible for all other expenses or costs not expressly listed above, as well as any incidental or personal expenses.  No substitution, transfer or cash redemption of the prize is permitted, even if part of the prize is not used, except by Airbnb in its sole discretion. Seat/suite locations at the game shall be determined in the sole discretion of Sponsors. Winner’s companion must be of legal age of majority in their jurisdictions of residence (and at least eighteen (18) years of age). Major League Baseball game, event and exhibition dates and times are determined in the sole discretion of the Office of the Commissioner of Baseball and/or the applicable Major League Baseball Club, as applicable, and may be subject to change. The terms and conditions of the tickets awarded as part of the prize will govern in the event a legal game, event or exhibition, as defined by Major League Baseball, is not played or held, as applicable, due to weather conditions, an act of God, an act of terrorism, civil disturbance or any other reason. Winner and his/her guest agree to comply with all applicable ballpark and venue, as applicable, regulations in connection with the prize. Sponsors and the applicable MLB Entities reserve the right to remove or to deny entry to the winner and/or his/her guest who engage(s) in a non-sportsmanlike or disruptive manner, or with intent to annoy, abuse, threaten or harass any other person at the game, event or exhibition. Sponsors and the MLB Entities will not be responsible for weather conditions, Acts of God, acts of terrorism, civil disturbances, work stoppage or any other natural disaster outside their control that may cause the cancellation or postponement of any Major League Baseball game, event or exhibition. Major League Baseball game, event and exhibition tickets awarded as prizes may not be resold or offered for resale. Any such resale may result in disqualification and prize forfeiture, and may invalidate the license granted by the game, event or exhibition ticket(s). Exact duration and nature of the dinner, Green Monster experience, ballpark tour and meet and greet opportunity is at the sole and absolute discretion of Sponsors and Boston Red Sox and subject to availability. In the event Tim Wakefield and/or Luis Tiant are unavailable for any reason, Sponsors reserve the right to substitute an alternate member of the Boston Red Sox personnel as determined solely by Sponsors and Boston Red Sox to participate in Tim Wakefield’s and/or Luis Tiant’s absence, or award the remainder of the prize as the complete prize. General Prize Conditions. Sponsors may conduct a background check on the winner and proposed guest to confirm eligibility and compliance with these Official Rules. By entering, you agree to cooperate reasonably with any such background check. Failure to cooperate may result in disqualification and selection of an alternate potential winner from among all remaining eligible submissions. If a background check reveals that a potential winner has engaged in conduct that could damage the reputation or business of Sponsors or the MLB Entities, the potential winner may be disqualified and the prize may be awarded to an alternate winner, time permitting. The winner and his or her guest, if any, shall strictly abide by any rules and procedures set forth by Boston Red Sox and Fenway Sports Management in connection with use of the prize. In addition, engaging in any inappropriate or illegal conduct during any prize-related travel or events may result in removal from the prize accommodations. Winner and guest will be required to comply with all rules regarding the promotion and all rules governing attendance at a Boston Red Sox game. General Liability Release. By entering, you release Airbnb, Boston Red Sox, the other MLB Entities, Fenway Sports Group, and Fenway Sports Management and each of their respective affiliated companies, equity holders and all of their employees, officers and directors, agents, or heirs (collectively, the “Released Parties”), from any liability whatsoever, on any theory, and waive all claims and causes of action arising from or related to this Contest and agree to indemnify such parties against all claims and expenses arising from your or your guest’s violation of these Official Rules, negligence or intentional wrongdoing. Released Parties make no warranties, express or implied, relative to the use or enjoyment of the prize (or any portion thereof) including, without limitation, its quality, merchantability or fitness for a particular purpose. Interpretations and Disputes. Participants agree to be bound by these Official Rules and all decisions of the Sponsors, which are final and binding. Any disputes shall be governed by the laws of the State of California, and shall be resolved in the courts of San Francisco, California. Miscellaneous. Released Parties are not responsible for computer or network problems or other submission errors that result in late or inadmissible entries. If any terms or provisions of these Official Rules are held by a court of competent jurisdiction to be invalid, void, or unenforceable, the remaining provisions shall continue in full force and effect. Airbnb may suspend, modify or terminate the Contest if it believes, in its sole discretion, that malfunction, error, disruption, or damage is impairing or will impair the administration, security, fairness, integrity, or proper conduct of the Contest, in which case the prize will be awarded among the eligible submissions received that were unaffected by the problem, if possible. Questions or comments may be sent to the mailing address shown in the Section entitled “Sponsors” above, attn: “Win a Night at the Home of the Boston Red Sox.” The Contest is a skill contest designed to increase consumer awareness of and interest in Airbnb, Major League Baseball and (website hidden), the Official Site of Major League Baseball. This Contest may not be used for, or in connection with, any form of gambling. This Contest is not sponsored, administered, produced or executed by any MLB Entity. Major League Baseball trademarks, service marks and copyrights are proprietary to the MLB Entities. All rights reserved. Winner name. Airbnb will publicly announce the winner by September 1, 2015, via (website hidden). Hi, I’m Tim Wakefield. I played with the Boston Red Sox for 17 of my 20 big league seasons, where I won two World Series championships. Community and sportsmanship are everything to me and I’m proud to have been nominated for the Roberto Clemente award eight times. I still call Boston home and you can watch me as an pre and postgame analyst for all Sox games on NESN. Though my fastest pitch was around 75 MPH, and my slowest closer to 55 MPH, I ended my career with the second most strikeouts in team history. Long live the knuckleball!